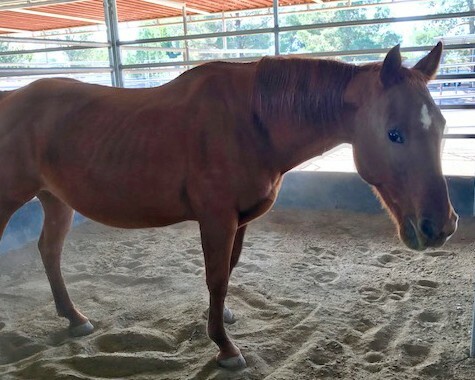 Angel was one of two horses confiscated by Animal Control in Nov 2017. The owners returned for the other horse, and abandoned Angel. 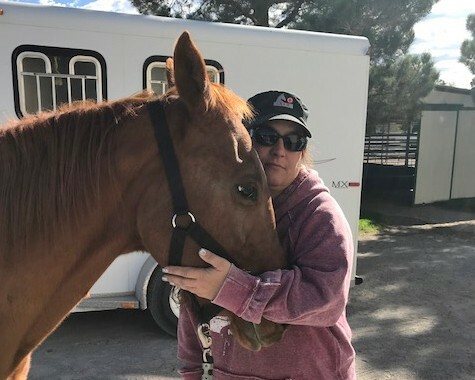 Although normally we wouldn’t offer a horse this old for adoption, it turns out she is SUPER cuddly and very solid under saddle with young children. 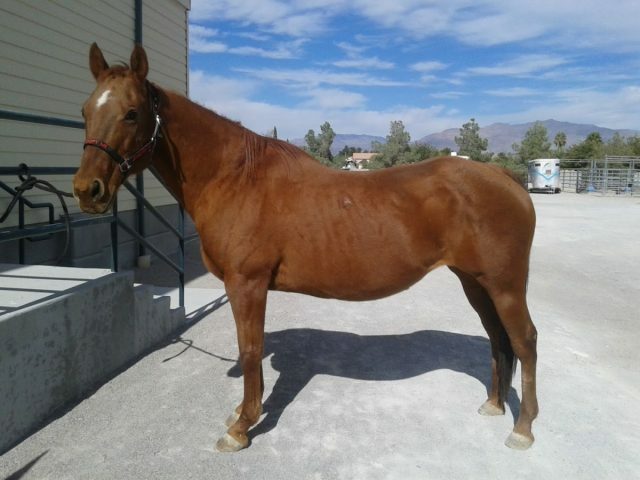 Evaluated at Desert Pines for a RH lameness, she is found to have a sub-chondral bone cyst in her right stifle. 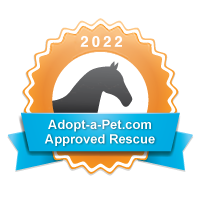 Become a Sentinel for Angel!